After Builders Cleaners Commercial & Residential Sipson UB7 | Quality Property Care Ltd.
Quality Property Care Ltd. is an experienced after builders cleaning company. Being on the market for ten years, we have discovered the big secret to a successful cleaning service: the specific approach to each client. This is why the helpful and talented after builders cleaners are instructed to make a preliminary visitation in the house. It makes it easy to make a whole after builders cleaning plan, settle the right date for the procedure and calculating the final price for the service: depending on the hours that are needed for the cleaning. Please, note that you can leave your instruction to the enthusiastic after builders cleaners, too. They are all English speaking, friendly and understanding technicians with proper education and skills. Cleaning after builders comes as a huge problem afterwards the constructions. That hard work you have already done has exhausted you enough. So, better take the benefits of using an risk-free, effective and expert after builders cleaning service in Sipson UB7. Quality Property Care Ltd. after building cleaning company offers quick reaction after your call, full customer support - including possibility for emergency service - and even the chance for you to be out, while the purge is done. Leave the trained and experienced after builders cleaners some spare keys to do their job, while you are having rest somewhere out. This is a service suitable for both domestic and commercial clean up jobs, as our technicians have both the equipment and the knowledge to accommodate the needs of both. We are able to clean the entire home or do as much as we can for the hours you have booked. 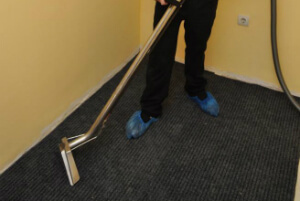 Depending on the condition of the property, you decide how much we clean, we come prepared, we clean, you are left satisfied. The service itself covers every aspect of after building cleaning, from removing paint spots from window sills and door frames, to the deep clean of all skirting boards, waist coating, doors, switches, sockets and fixtures. We also de-lime and de-scale any bathrooms or kitchen tiles, as well as clean all woodwork and polish all surfaces if necessary. Along with that we perform deep-cleaning of living rooms, kitchens, bedrooms, and common areas including fixtures as well as cupboards inside and out. We remove any debris leftover and rubbish from the construction work, professionally clean all sills, window frames and windows from paint, leftover debris as well as plaster. In the service we can also include pressure washing, steam cleaning, wall washing, hard floor cleaning, tile scrubbing, window cleaning, carpet and upholstery cleaning, wood, floor polishing, patio and driveway cleaning, rubbish removal as well as night cleaning if you are so inclined. Vetted after builders cleaners in Sipson UB7: they will do the purge just leave them the keys!